UNIQUE, 21 YEARS, AND GOING STRONG! 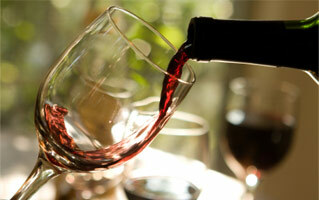 Join other customers who have long enjoyed this great way to try new wines. 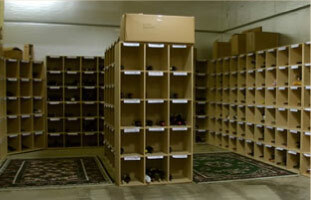 You'll automatically acquire one or more guaranteed top-quality bottles every month, stored safely in your own personal bin in our temperature-controlled cellar. Pick them up when it's convenient for YOU. From the nearly 200 wines we taste each month we select the best we can find from around the world in specific price categories and place the selection from your category into your bin. Always a red or white non-sweet dinner wine, the categories range from under $15 per month to under $50. Plus quarterly we offer one highly esteemed "Cellar Selection," under $100. We simply charge your credit card the retail price of the wine, plus tax, by the 10th of each month, and send you a copy of your monthly Cellar Notes. We have no entry fees, no bin storage fees or other hidden costs.You can change your category at any time. Our minimum six month membership makes a great gift (Hint-hint!). We currently have over 900 members, many have been in the club for more than FIFTEEN YEARS! To sign up for your own bin, pick one or more of the price categories listed below and determine if you want a red, white, or both to be placed in your bin each month. You may even want to mix it up, red one month and white the next. Then follow the link on this page. Or, better yet, stop by the store to fill out our form and receive a personal introduction to your very own bin on the same day! Recognized by expert tasters as having considerable value for this price range. Fine examples of widely recognized, classic wine styles . Exceptional, usually ageable, satisfying the discriminating palate. An outstanding red, highly rated, certainly ageable, and often collectible. An extraordinary red, usually hailed by critics, collectible, and often needing further cellaring to reach its ultimate potential. 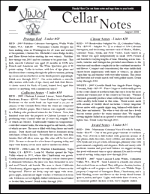 Our monthly "Cellar Notes" describe the current month's selections with our own tasting notes, plus we offer advice about decanting, food combinations, estimates of your wine's age-ability, and more!